Cleveland Indians prospect Francisco Mejia needed five at-bats and was down two strikes in the last one before he collected his first hit of the game Thursday. The importance of that hit (a double) that nearly didn’t happen? He now has one in 46 consecutive games, the longest hitting streak in the modern minor-league era (since 1963) and tied for eighth-best in professional baseball history. 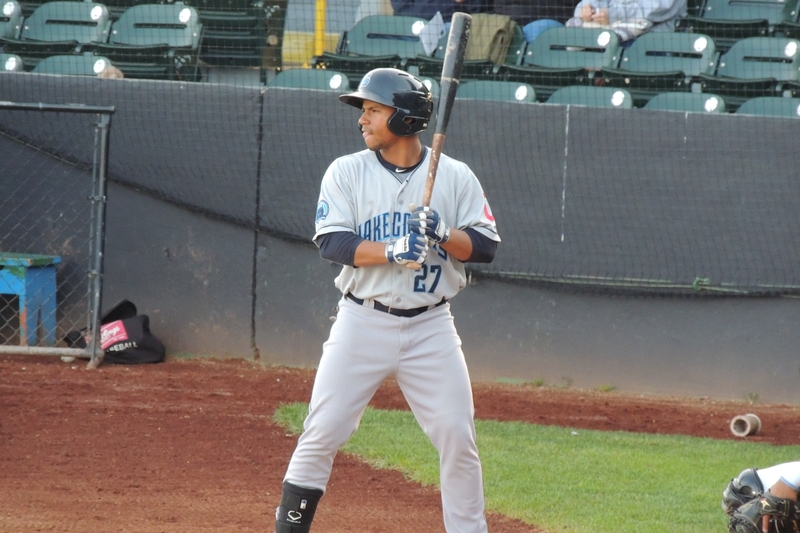 Mejia began his streak when he was still in the Midwest League, getting hits in the first 24 games as a member of the Lake County Captains. His streak continued after being promoted to the Lynchburg Hillcats (Cleveland’s High-A affiliate in the Carolina League), for whom he still plays. They don’t count as part of the streak, but Mejia also collected hits in the Midwest League All-Star Game and the All-Star Futures Game during the time since his streak began in late May. Of the 12 longest hitting streaks in pro baseball history (which are listed alongside this Baseball America article worth your reading time), Mejia’s is the only one that had any part of it take place in the Midwest League. In fact, only four of the streaks happened after the Mississippi-Ohio Valley League was founded in 1949; the MOV became the MWL in 1956, and MOV statistics are counted as MWL ones. Of those four streaks, only two were achieved by former Midwest League players. Mejia, of course, is one of those players. The other is James McOwen, who posted a 45-game hitting streak in 2009 for the High Desert Mavericks in the California League. Two years earlier, McOwen played for the Wisconsin Timber Rattlers, batting .269 with 33 RBI in 56 games. He never made it to the majors. This has been a breakthrough season for Mejia, who batted .243 with 9 HR and 53 RBI in 109 games with the Captains last year. He batted .347 with 7 HR and 51 RBI in 60 games with the Captains this season before his promotion to the Hillcats. He is batting .345 with 2 HR and 20 RBI in 21 games with Lynchburg. The longest hitting streak in baseball history is 69 games, achieved in 1919 by Joe Wilhoit of the Western League’s Wichita Jobbers. The two next-longest streaks belong to Hall-of-Famer Joe DiMaggio, who hit safely in 61 consecutive games for the 1933 San Francisco Seals (Pacific Coast League) and a major-league record 56 straight games for the 1941 New York Yankees. This entry was posted in 2016 All-Star Futures Game, 2016 All-Star Game, Baseball Hall of Fame, California League, Carolina League, High Desert Mavericks, Lake County Captains, Lynchburg Hillcats, Midwest League, Pacific Coast League, Wisconsin Timber Rattlers. Bookmark the permalink.